“Our good friend, Ginger Casey, forwarded an article that she had written for us to share, here, at SFTHH. The article, likewise, appeared in the Reno Gazette. Ginger Casey is an Emmy-award winning journalist who began her career in Reno and we thank her for sharing with us. Keep the faith!” ~ R.T.
We need Phone Numbers ,Fax Numbers Emails we need to Bombard the BLM about Shelters !!!!!! Does the BLM claim to adhere to any equine veterinary association principles? • Equids should be provided with reasonable protection from injurious heat or cold and harmful adverse weather conditions. No None Linda !!!!!! If anything needs to be eradicated its them !!!!! When the day arrives, and journalists take the walk down the plank, we’ll see some “hard hitting” articles. Sorry, this article preserves a lot of things, not the least of which is this writer’s position. It’s the same at the wild horse corral a few miles outside Boise. It’s just a dirt lot in a sea of sage brush, windy and dusty, completely exposed. It’s supposed to be 99 degrees today. I asked one of the BLM staffers out there why there was no protection from heat and cold. Predictably, he told me they’re wild and don’t need it, and then he scurried back into his nice cool office. Why can’t we require an equal number of cattle and sheep be confined alongside the WHBs… at their owner’s expense. This at least would garner support for humane living conditions from their owners, and perhaps the HSUS. I have seen this myself and it made me cry. Below is an excerpt from my eyewitness observation last June. 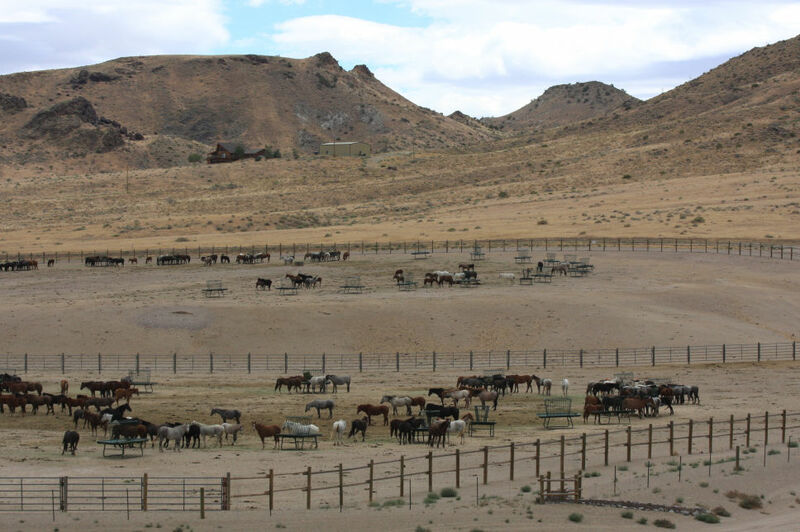 BLM’s Litchfield holding facility near Susanville, California appeared to be about half full with approximately 500 wild horses and burros still standing in this “feedlot” situation while literally just over the hill the legally designated wild horse and burro land is almost empty. BLM’s Palomino Valley holding facility near Reno, Nevada also appeared approximately half full with about 1,000 wild horses standing in their “feedlot” corrals. They have no shade from the blazing sun and no shelter from the freezing winter winds. HORSES WERE EVEN LYING DOWN AND TRYING TO COOL THEMSELVES IN A FEW SMALL INDENTATIONS IN THE MOIST SOIL WHERE A LITTLE WATER HAD LEAKED OUT FROM THE TROUGH. These magnificent wild animals should be in their legal herd areas. The BLM’s management is unjust, illegal and inhumane. Can’t understand why BLM carries out such unspeakable cruelty to wild equines they are mandated by law to protect and gets away with it. ” holding facility”/concentration camps should be shut down…permanently. Yes Louie C That is the Goal !!!!!!!!!!!!!!!!!!!!!! to everyone involved with b.l.m. and cattlemen’s assoc. are so full of s..t . i’ll bet they are never going to do anything about it sorry people . i’ll bet the worst has not yet arrived . these people are not going to listen to us or something would have already been done about it . bet ,their animals are not treated like that . iwonder what it would be like if they would just work with us ….but nooo, they just blow us off i’m not sure what to do now ,they just pull us in conflicting directions .just like what the rest of our government is doing . and t/y debbie for bringing out that article about agenda 21 sure seems like they have sped up that buiss. again. with this border crisis and everyone on vac. then the health risks, just so much going on at the same time/ with no end in sight .america as we know it is slipping away………. 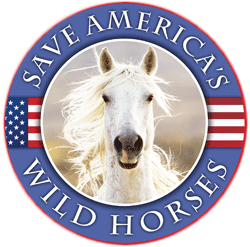 I will have to let you all know, that if you drive by 28th and Youngfield in Wheat ridge CO (the BLM office for CO) and see the parking lot of about 100 autos – you will see the brand new pickups and bmw’s – you will see why they didn’t have enough frigging money left for shelter for the horses. The rangelands, however, can easily sustain not only the wild horses and burros existing out there now, but also every one of those in holding facilities, which now number well over 40,000.
if released back to the areas from which they were taken, along with those in the wild, would help bring the balance back to the rangelands, a balance that is so very vital! You all are stupid,selfish,despicable asshats!! You all do not give a damn about all the wild horses & burros you have captured. 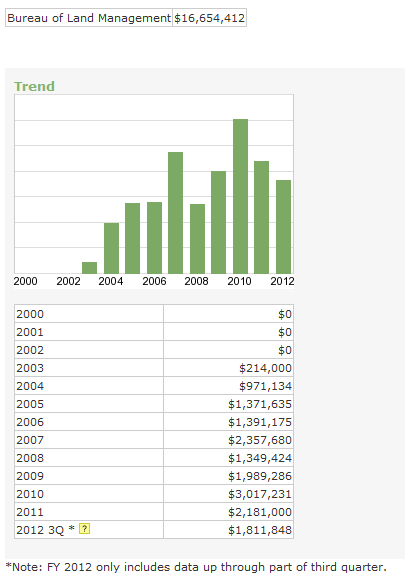 All you do care about is the color green,gold,silver & how much $$$$$$ is in your bank accounts!! Everyone knows damn right well you all are getting your palms greesed by all of the ranchers. Karmas commin & she isnt pretty. I pray you all get exactly what u deserve x 1000!!! Now is the time to stop asking for shelter and shade , it is the time to DEMAND immediately or we will…………………………… Nicey nice does not work with this Corrupt rogue Agency !!!!!! Either they provide it or we will nothing short of that !!!!! Either we make this happen or why are we here , ??????????????????????????? This is common decency !!!!!!! If inspiration is needed watch the Movie made in,1995 if you have not already seen it the true story, IN THE PURSUIT OF HONOR,you can get it at your Local Library……………. You are right Arlene -In pursuit of honor is what our country does with our horses once they no longer need them -and what a differnce just a few can make – well worth watching. Thank You Geri !!!!! I do own the Movie I have watched it 163 times , I have researched this movie, no where in the annuals of history can it be found, it was erased by ?????? because of the total embarrasment of General Mc Aurther and his unwise and unpopular disicision !!!!!! Although as of 2009 their were several living soligers who varified it !!!!! if this movie doesnt move you to action nothing will !!!!!! And I heard just yesterday that they are changing and/or erasing some of our early WHITE history from the history books so we know It happens. Yes Geri, they can do anything they want !!!!!! I do truly believe that this happened , as it was told by the soligers who witnessed it and then it was erased from History !!!!!! How could anybody believe pathological liars? I never did…there has never been a shred of truth that has come out of their mouths. They either want to kill them or slaughter them. Dammit, these are CATTLE MEN AND WOMEN running the show and we know how they feel about the horses. Their motto is if you feed it you should eat it.